By meditating or thinking only positive thoughts while breathing through the Pulmonica, the benefits of relaxation and anxiety relief are increased. The benefits of meditation and deep breathing exercises extend thousands of years back to yogic traditions from India. Now people everywhere can ‘discover’ the benefits of improved diaphragmatic breathing through the use of a Pulmonica. 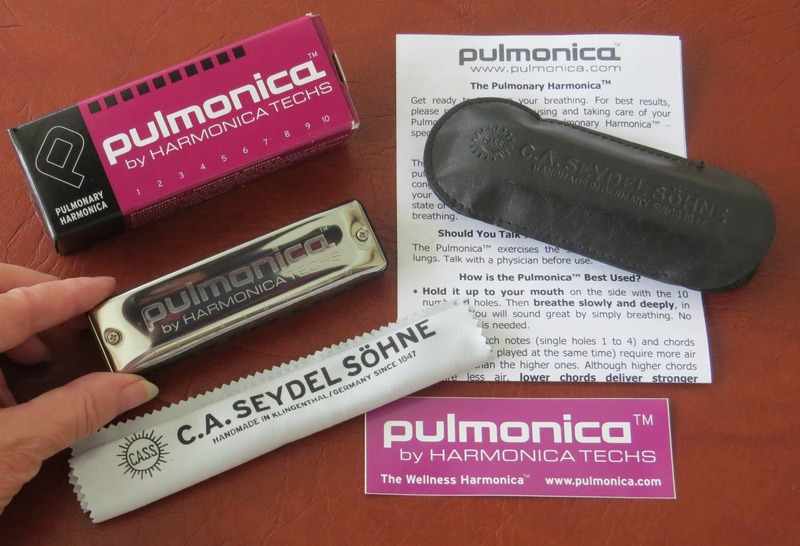 The Pulmonica is a specially constructed and tuned Pulmonary Harmonica that produces deep, resonant, meditative sounds that can be felt vibrating in the lungs and sinuses. No musical talent is needed to use it – just taking long, slow, deep and complete breaths through the Pulmonica always sounds soothing. Close your eyes, relax, and maintain good posture. Try to concentrate on the soothing sounds you make as you breathe deeply through the Pulmonica. If thoughts enter your mind, view them with no more attachment than watching a flock of birds pass by. Imagine the Pulmonica’s vibrations deeply entering your lungs and sinuses to loosen congestion. Try to feel your lungs clearing and getting stronger. Silently count the seconds you inhale and exhale. Exhale for longer than you inhale. Pause between each breath, both in and out. Gently increase your counts over time. Imagine the path your breath is taking, down your windpipe, into your lung tissues and pushing oxygen out into your bloodstream, nourishing all your body’s functions. Then you exhale carbon dioxide that has built up and the process repeats. O2 in, CO2 out. Silently repeat “I Breathe in Love (pause), I Breathe out Peace (pause)”, or just slowly repeat “Love (pause), Peace (pause)” as you breathe deeply from your diaphragm. Make up your own personal meditation mantra or use one of the many that Buddhist and other communities have used for centuries. Send positive intentions to loved ones, imagining them healthy and content. Imagine yourself healthy and content. What will you be able to do when you improve your breathing? Picnic in the park? Ride your bike? Go dancing? Spend five minutes twice a day breathing deeply as you visualize your ideal life and be motivated to make it a reality. Ask yourself a question before you start using the Pulmonica, then let your mind explore it, or just wander for five minutes. The added oxygen might stir up some creative solutions. Read an inspiring passage and reflect on it for five minutes as you breathe deeply. Simply let the world go by while you just ‘are’. Use your Pulmonica to help center and balance your mind. “The benefits of meditation and deep breathing exercises extend thousands of years back to yogic traditions from India. 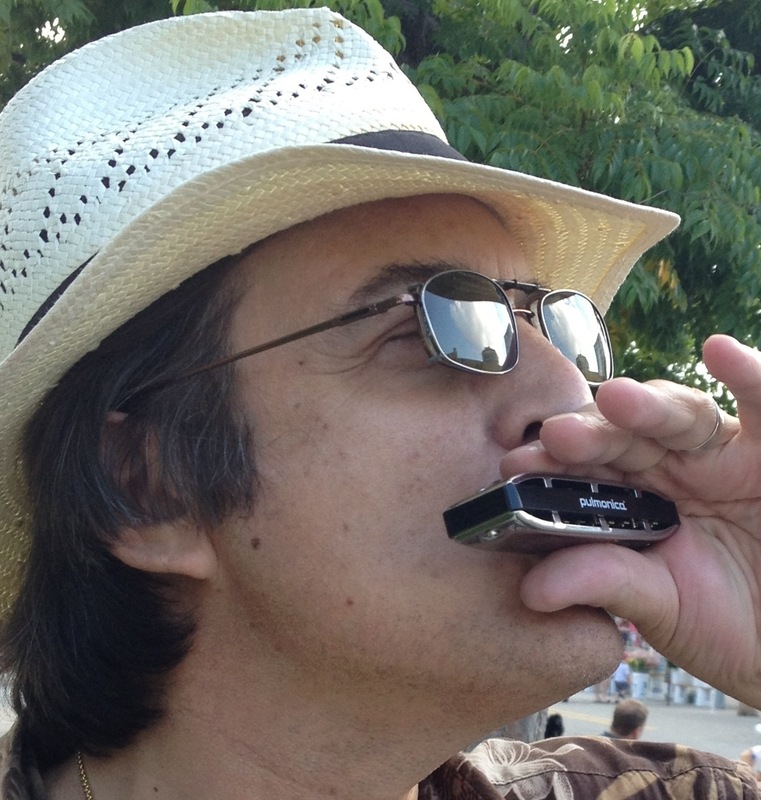 Now people everywhere can ‘discover’ the benefits of improved diaphragmatic breathing through the use of a Pulmonica,” said Dana Keller, PhD, co-inventor of the pulmonary harmonica. Visit http://www.pulmonica.com to learn more about the Pulmonica, which comes with a 30-day money-back guarantee, and is also guaranteed for one full year against manufacturing and material defects. That should make you breathe easier.